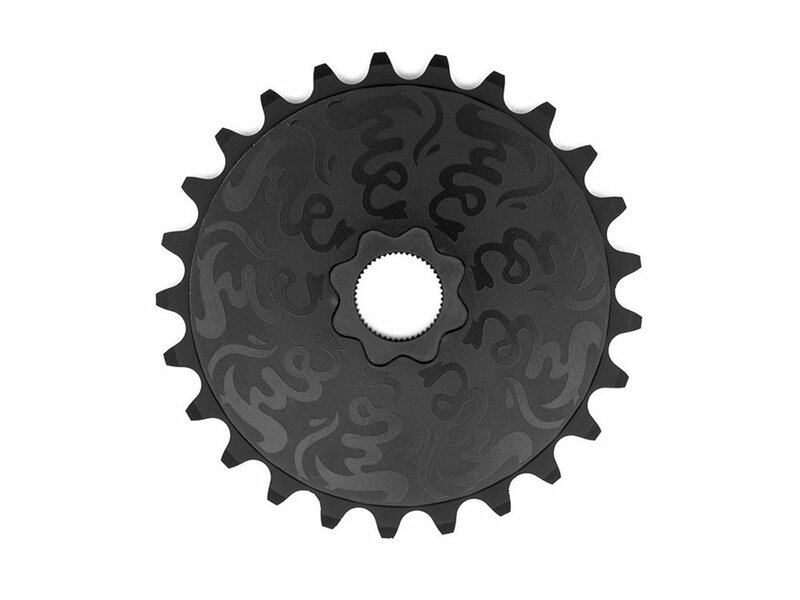 As the name suggests this Fiend BMX "Varanyak" Spline Drive Sprocket is a spline drive sprocket which is selectively compatible to 19mm or 22mm crank spindles with 48 splines. This made of CNC machined 7075 aluminium and stocked with CrMo spline drive insert Fiend BMX "Varanyak" Spline Drive Sprocket makes the use of sprocket bolts as well as bolt holes on crank arms unnecessary. This saves weight and offers your drive unit a clean look.